Porcelain meets paper to give this beautiful brooch a seaside theme. 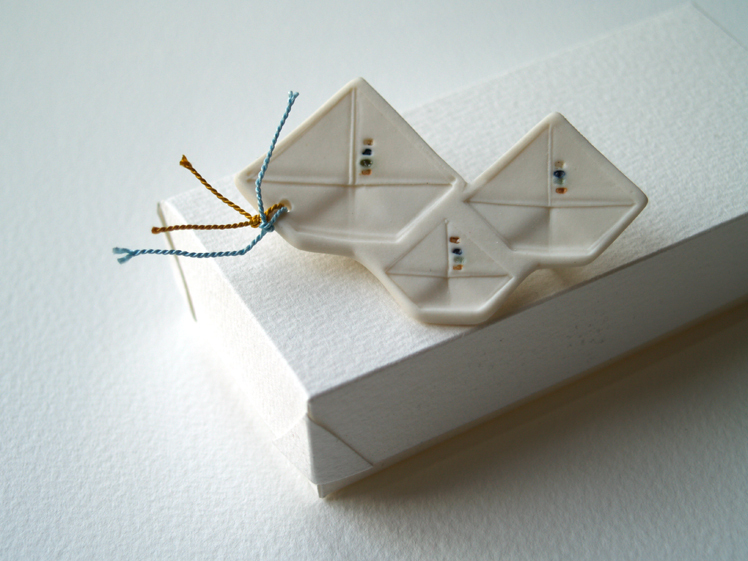 Three origami boats embellished with luxurious silk threads. Each brooch comes with a tailor-made box. In collaboration with Samantha Robinson. Phiona Richards creates interactive book sculptures and intriguing jewellery using folding and traditional needlework techniques.